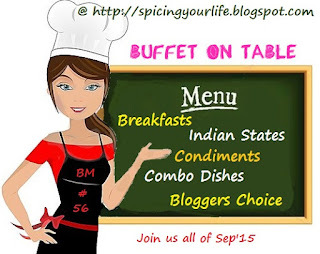 Coming to the fifth day of Indian States in the #56th Edition of Blogging Marathon, I chose to highlight Kashmiri cuisine. 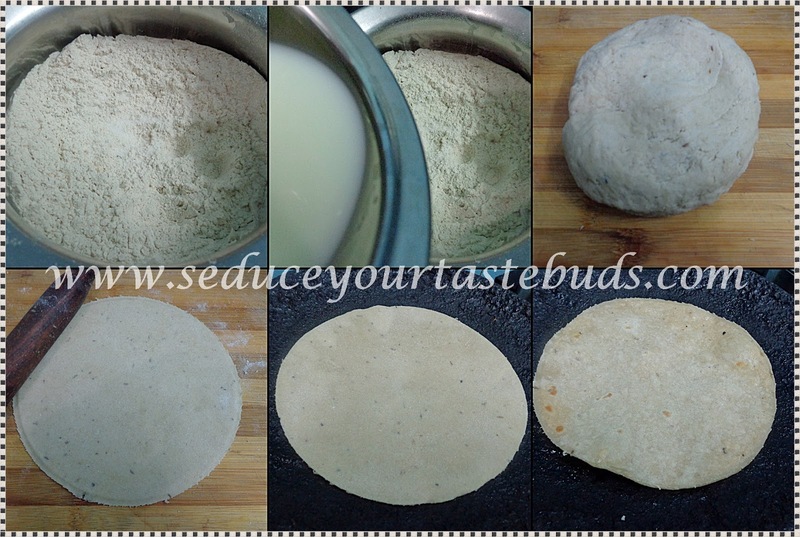 The Roti is mildly flavored with spices and milk is used to knead the dough instead of using water.This is a simple yet flavorful Roti that is perfect for dinner / for the lunchbox.I served this with a Paneer Gravy. Roast the spices in a pan till fragrant. 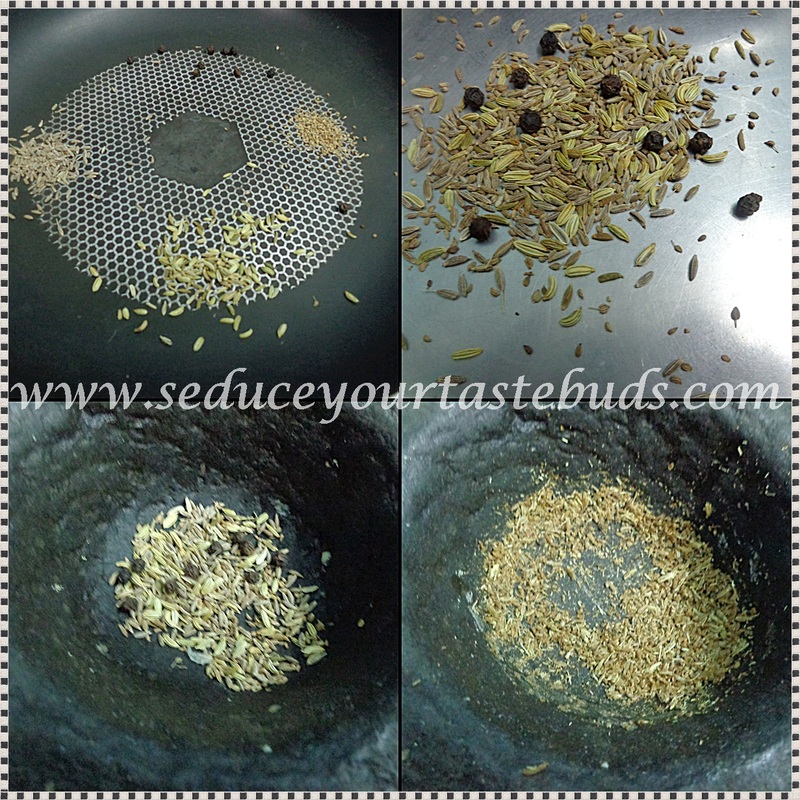 Remove onto a plate .Grind to a powder using a motor and pestle or a blender.Keep aside. Take the wheat flour ,salt and spice mix in a bowl and mix it.Add milk little by little and knead to a soft dough.The dough should not be sticky.Cover and keep aside for 10-15 minutes. Take a golf ball sized dough and roll out into roti.Cook on a heated griddle till brown spots appear on both sides. Serve with a side of your choice. We had it with Veth Chamman Gravy. I thinks someone else too made these. The spices definitely take the flavor quotient up. Very good choice for kashmir PJ..I loved Kashmiri Roti..
Prefectly rolled roti, and i dont bother to kick start my day with this dish. Addition of cumin & fennel is interesting..Flavorful rotis. The spices in the roti make it special. Mildly flavored roti are tempting. Awesome flavor!!! I originally planned this for K, along with dahi chana!! but then changed last minute to Idiyappam!!! Love the spices used PJ .